We invite you to review the wide variety of presentation topics listed below that are offered by Teresa Tomeo. In addition to the list of presentations given below, Teresa is also able to work with you to design a retreat or talk with a specific theme in mind. For information to bring Teresa to your event please email her at ttomeo@teresatomeo.com or contact Catholic Speakers Organization. For information about Teresa’s scheduled upcoming speaking engagements or events, please visit her EVENTS PAGE. For information about Beyond Sunday and booking a Beyond Sunday Parish Mission, visit http://www.OSV.com/BeyondSunday, or email beyondsunday@osv.com. Perfect for a parish mission. This talk can also be presented to general audiences at the parish and diocesan level. Millions of Americans still identify as Catholics, even though they no longer practice their faith. Even among the approximately 24% of Catholics who still attend weekly Mass, faith is something that is all too often kept in a neat little box that’s taken down and opened only once a week at best when they attend Mass. But Jesus and His Church have so much to offer. Find out how to live a joy-filled, Christ-centered life in the Catholic Church as well as beyond Sunday. Teresa will show you what a 24/7 Catholic really looks like and how taking our faith into our everyday life results in true joy and fulfillment. Based on their best-selling book, Intimate Graces, Teresa Tomeo and her husband Deacon Dominick Pastore help couples bring Christ into their marriage by practicing the Works of Mercy. Teresa and Deacon Dominick explain God’s plan for marriage, how to apply the Corporal and Spiritual Works of Mercy in your daily married life, how to unite your marriage to Christ, and how to protect your marriage and family from the corrosive effects of the culture and media. Learn how to bring out the best in your relationship! If you’re fed up with our selfie obsessed culture, then this eye-opening presentation is for you. Based on her latest book, Beyond Me, My Selfie and I, Teresa lays out in vivid detail how our addiction to selfies and technology in general has resulted in an “it’s all about me attitude” that is directly connected to, as Benedict XVI has stated, “a dictatorship of moral relativism” along with an endless cycle of looking for satisfaction in all the wrong places and coming up empty. Teresa will help you get back on track enabling you to concentrate on the things that matter most beginning with our relationship with God. 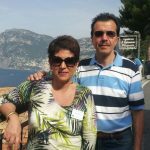 In this powerful and very intimate presentation, Teresa Tomeo and her husband Deacon Dominick Pastore share the steps of their long journey back to Jesus, the Church, and each other. How did two people who were on the verge of divorce not only heal their marriage but also find their way into Catholic ministry? Their story will make you laugh, cry, and most importantly realize that with God all things are possible because loving God first truly does change everything. No matter how busy or complicated life becomes, God can be found in the details of each day. In this lighthearted yet realistic look at the ups and downs of faith life, Teresa provides insights to soothe the souls of Christians everywhere. 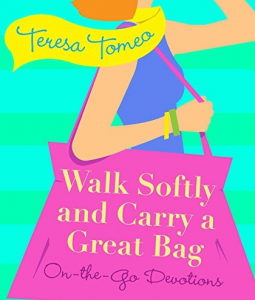 Based on her latest book, Walk Softly and Carry a Great Bag: On the Go Devotions, Teresa will show your audience how to experience God’s presence in the most ordinary of moments. These days everyone has a bucket list; that special list of goals and dreams we would like to fulfill before our pilgrim journey on earth is through. But is your bucket list designed by me, myself, and I, or Father, Son, and Holy Spirit? 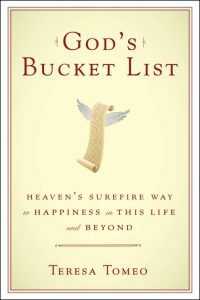 In a presentation based on her best-selling book God’s Bucket List: Heaven’s Surefire Way to Happiness in This Life and Beyond, Teresa Tomeo inspires audiences to make sure they’re seeking God’s very special bucket list for their lives. She demonstrates how it is only by finding and fulfilling God’s plan one discovers true happiness and the peace that surpasses all understanding. For many years, concerned citizens have expressed a deep desire to change the violent, sensational, and immoral climate of today’s mass media. Teresa Tomeo explains now is the time to speak out. Teresa conducts media awareness seminars providing audiences with the tools to make a difference. Teresa will show you the enormous impact the media have on our children and society as well as what you can do about it. Find out how just one voice can make a difference in the type of information and entertainment that floods our homes and our lives on a daily basis. Why do we have all the trappings of success, but little of the happiness? Teresa Tomeo answers that question through her own inspiring personal testimony. For many years, she worked as an award-winning radio and TV reporter in her home town of Detroit. Despite her success she recognized something was missing. Then through a series of events she came back to Christ and the Church of her youth. Her life has never been the same. Hear her testimony and find out how she learned to tune into the signals God was sending her and how to follow His will for her life. Learn how her re-commitment to Christ eventually led to a communications career much different than the one Teresa had planned for herself, and how the Lord continues to accomplish in her life more than Teresa could have ever imagined. 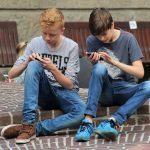 Whether it’s the Internet, social media, video games, rap music, movies, or TV, our children are being bombarded with harmful messages that can dramatically impact their young lives. Teresa Tomeo knows this first hand. As a teen growing up in the 70’s Teresa succumbed to the pressure to be thin and was eventually hospitalized for the eating disorder, Anorexia Nervosa. Teresa draws from personal experience and her devout Catholic faith to help young people deal with pressure from the culture and pressure from their peers. 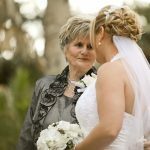 She provides hope as well as Godly guidelines that will help teens and families remain true to their faith. For many, living a Godly life in today’s world might seem unattainable or at the least extremely difficult and complicated. Not so according to Teresa Tomeo, who fell away from her Catholic faith as a college student. When she began her marriage and her broadcast-journalism career she learned it’s actually a life apart from God that is not only difficult and complicated, but empty and painful. Find out how Teresa used some of the simple but profound truths she learned as a young girl to start turning her life around. Teresa’s top ten list of Godly guidelines will give you hope, make you laugh, and help you energize your faith life. Whether it’s losing weight, having cosmetic surgery, remodeling the house, or even finding that dream job, everyone seems to be taking the topic of makeovers to extremes. Teresa Tomeo learned the hard way that true happiness and fulfillment can’t be found in one’s appearance, job, or home, but only through faith in Jesus Christ. 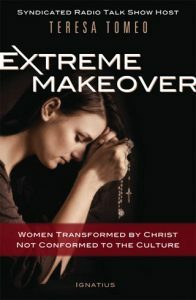 In this inspiring presentation, you’ll learn how Teresa’s extreme makeover was done by the great physician Himself, the Lord Jesus Christ. Teresa will share how the media and its influence have impacted her own life and will also provide seminar participants with the tools needed to makeover their media habits and positively impact the culture. In this presentation, Teresa Tomeo shows us the depth, beauty, and truth in the Church’s teaching on women. Her talk helps us examine more closely the roles of women in the Church. Teresa draws from her personal testimony as well as her work as a Catholic journalist and shares her insights on how Catholic teachings represent real freedom for daughters of God. When most people think of the media and its consistent promotion of the Culture of Death, they sometimes limit the spin doctors to the news media alone. 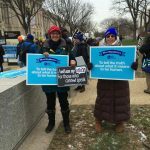 But as Teresa Tomeo points out in this eye-opening presentation, the corruptive campaign promoting abortion, birth control, euthanasia, and sexual promiscuity is insidious. The media have crept into virtually every area of the culture and our lives. Teresa shows us the depth of this problem and how we can engage rather than give in to the culture of death. Whether it’s a school shooting or a case of workplace violence — a critical situation is bound to grab media attention. If you are not prepared to face the cameras and the microphones, even a minor incident could suddenly spin out of control and become larger than life. How you handle questions and concerns will have an impact on your company or school, as well as your students and employees. With veteran broadcast journalist, Teresa Tomeo, you can address these important issues. Teresa is a media consultant and media trainer for senior level executives in the law enforcement, education, public relations and automotive fields, teaching crisis management and communication skills. Seminar participants are trained through a series of real-life exercises that incorporate both seasoned news professionals and state of the art broadcasting equipment. Don’t let the media take advantage of an already vulnerable and volatile situation. Let Teresa’s over 30 years of news reporting experience help you gain and maintain control. 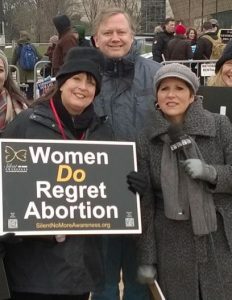 Myths and misinformation abound in media coverage of pro-life issues. The blatant media bias combined with the constant stream of violent programming and sexually promiscuous messages from Hollywood, TV programming, and the music industry make for a hostile environment for pro-life messages as well as add to the overall desensitization as it relates to the dignity of the human person. Yet it’s crucial for pro-lifers to realize that we ignore the media at our own peril. 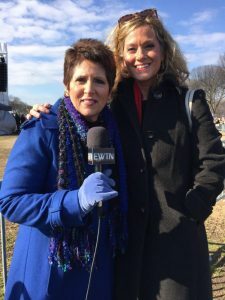 Through her media training and consulting sessions, Teresa Tomeo, offers strategies on how to not only respond to the media madness, but to learn how to promote the pro-life message through both secular and Christian media outlets. A look inside the newsroom to help pro-lifers understand the daily decision making process. Mock radio, TV, and print interviews and critiques: real life scenarios to help you and your pro-life leaders gain confidence in front of the cameras and microphones. 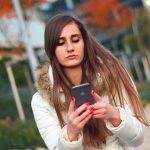 No-nonsense strategies for getting and staying connected to media managers as well as getting your stories covered. Dos and Don’ts of media interviewing. Development and delivering of story ideas. Writing and sending press releases. Sage advice on how to maximize coverage on Christian and conservative talk media outlets.